Today, the High Representative Rezan Kader accompanied the Minister Pinotti to meet President Barzani along with the rest of the delegation. 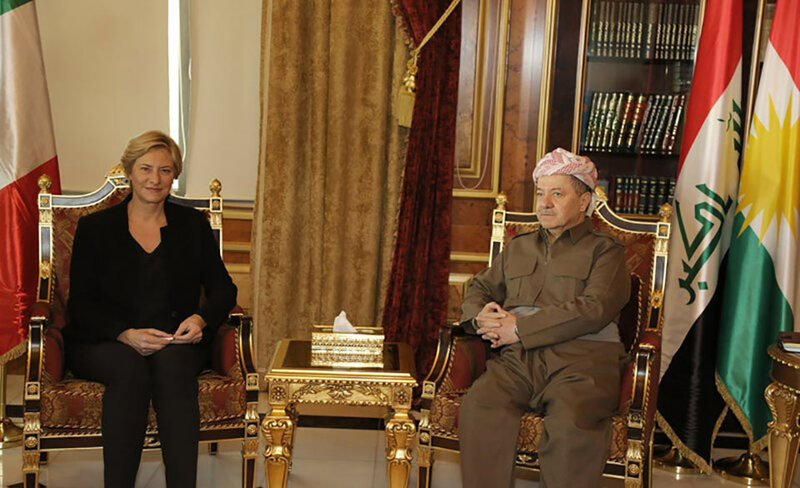 During the meeting, President Barzani and Minister Pinotti have talked about a number of issues concerning the war against ISIS terrorists, in particular the operation of Mosul. President Barzani reiterated the importance of planning the post-stage of Mosul’s liberation. The President also took the opportunity to express his gratitude for Italy in favor of the people of the Kurdistan Region for his support during these difficult times. Minister Pinotti said that Italy's support to the Kurdistan Region and Iraq will continue and praised the efforts of the Peshmerga forces who played a crucial role to fight the ISIS terrorists.